I was first exposed to music by my mother. She is a professor of music and a teacher. She had me taking vocal lessons and piano lessons when I was very young. I took music all through school. The first album I ever bought was Meet the Beatles. The first cool guitar playing that really got me was Jimi Hendrix and the first hard rock concert I ever went to was Black Sabbath on their Paranoid tour. Sabbath, Deep Purple, Uriah Heep, Pink Floyd, Rush, UFO and eventually Judas Priest all played an important influence on me and my music. There are so many bands and musicians that have been a influence on me that they all can’t be named and that doesn’t even touch on the composers that I adore like Mozart and Bach. 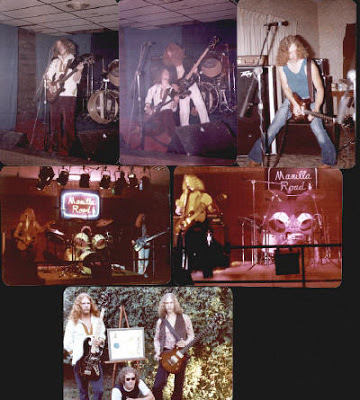 What are some of the bands you were part of before forming Manilla Road? The first rock band I was in was called Embryo. We did mainly cover songs from a lot of the bands that I just mentioned. I played drums in Embryo. I had an original band called Apocalypse for about a year that I played guitar in. I played drums for my step-father’s jazz band The Heard. 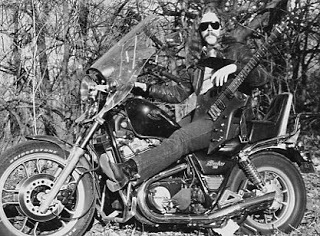 I also played drums in a few country rock bands and did a string of shows with a country rock band as their lead guitarist. One of the country bands was called Tumbleweed. 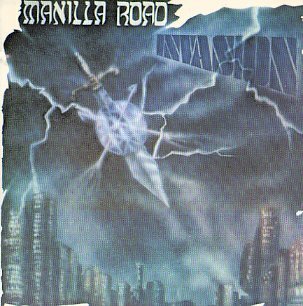 How do you remember rehearsals as Manilla Road? That was a really long time ago and hard to remember because I have drank several bottles of Southern Comfort since then. Haha. We started out as a bunch of guys that really did not know what we were doing. I had these visions of becoming a great influence in the music industry if I could just find a way to imitate the music that I was hearing in my head. All the guys in the band at first had no musical training except for Scott Park who had played trumpet in school. So as you can imagine our first sessions were….well……let’s just say that we sounded like crap. A jumbled mess of sour notes and misguided ideas of how to play an instrument. Thank the gods we got better. Why the name Manilla Road? The first drummer for the band, Ben Munkirs, and I were having some beers in his kitchen watching Monty Python’s Flying Circus on a small black and white TV. 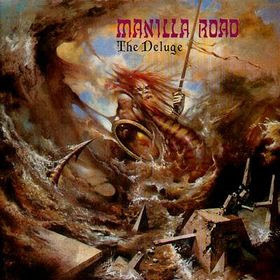 In our drunken stupor we came up with the name Manilla Road thinking that it meant the road of light. Don’t really know why we hung on to it but we did and so that name of the band. What influences you these days? Nowadays I can’t say that I have a lot of new influences. When I am working on writing new songs I don’t really listen to anything else. And I am working in the studio almost all the time unless I am touring or playing taxi driver for my kids. My influences range from the classics to Slayer. I even like some country music. Have always thought that Frank Sinatra and Dean Martin had great voices. 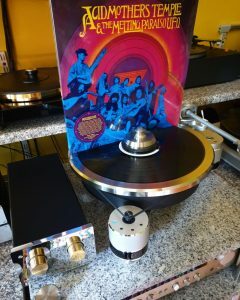 Singers that have been a big impression on me are Rob Halford, Peter Gabriel, Ian Gillan, Ian Anderson, The Beatles and countless other singers from the barrage of great bands that came out of the hippie days of music. Guitar players would be the likes of Jimi Hendrix, Alex Liefson, Michael Schenker, Toni Iommi, K.K Downing and Glen Tipton, David Gilmore and wow the list could go on for days, Al Dimiola, Johny Winter, Jeff Beck, Jimi Page and see the list can just grow and grow. Let’s face it anything that you ever hear influences you one way or another. Even if you really don’t like something it influences you to never create anything like it. My influences have come from many different sources and that is probably why music is so diverse. Invasion is your first album released in 1980. 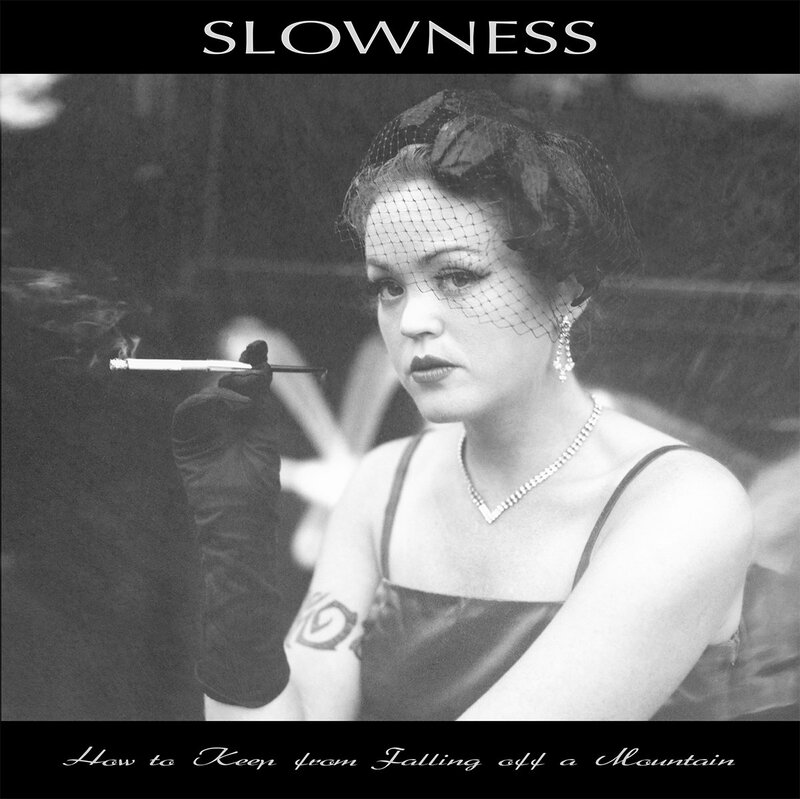 What can you tell me about producing and releasing your first LP? We were just taking a shot in the dark about everything to do with that album. We knew nothing about producing an album. But we just kept on looking for answers to all of our questions and what do you know we had a album. A bunch of us got together and formed our own record label called Roadster Records. We found a studio we thought would help us figure out how to get things rolling and then we found a pressing plant in Texas that we started having the albums made at. Then we just started calling on all the stores in the state of Kansas and trying to get connections with distributors all over. It was a uphill climb but when I look back on it now I realize that it was all for a really good cause and outcome. 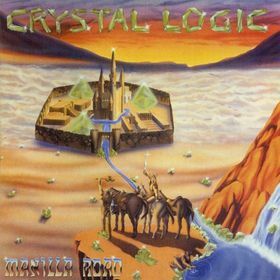 Two years later you released Metal and a year later Crystal Logic. Metal was when we were still searching for our sound. 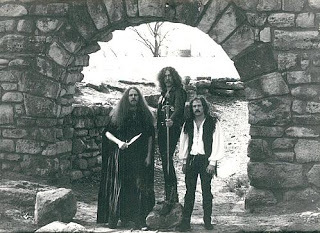 We were still a bit of a space metal band at that time reaching for heavier stuff. 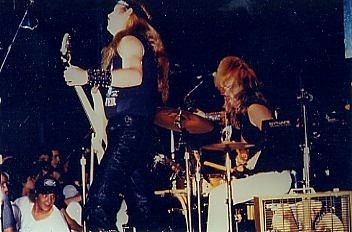 We were starting to get there with songs like Enter the Warrior, Queen of the Black Coast and Cage of Mirrors. But it was Crystal Logic where we really started to find our niche so to speak. We pretty much committed ourselves to the heavier side of the spectrum with that album and the production was the best we had done up to that time. I started to refine my story telling with the lyrics by this time. I was being pushed on by some friends back then also that thought I had potential as a lyric writer. Ernie Hellwell is one of those friends that gave me ideas back then for songs like Time Trap, Cage of Mirrors and The Riddle Master which were all short stories that he had written. They were all stories that we had both contributed to but he was the one that penned the actual short stories. I converted them into lyrics for the songs. As time has gone by I have derived a lot of songs from stories that I have read from several different authors like Robert E. Howard, H.P. Lovecraft and Edger Allen Poe. And that’s not to mention the ton of historical or myth oriented songs I have written. 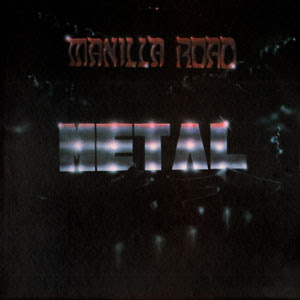 Both Metal and Crystal Logic were the beginnings of all the literature inspired songs that were done with Manilla Road. Touring is always exhausting and fun. I love meeting all the people that we do when we are traveling. And doing the live shows is great. I can’t believe how well we are treated and accepted by one and all when we are on tour. It’s really amazing. I have never thought that we were a great live band. I have always thought that my forte was writing and recording. 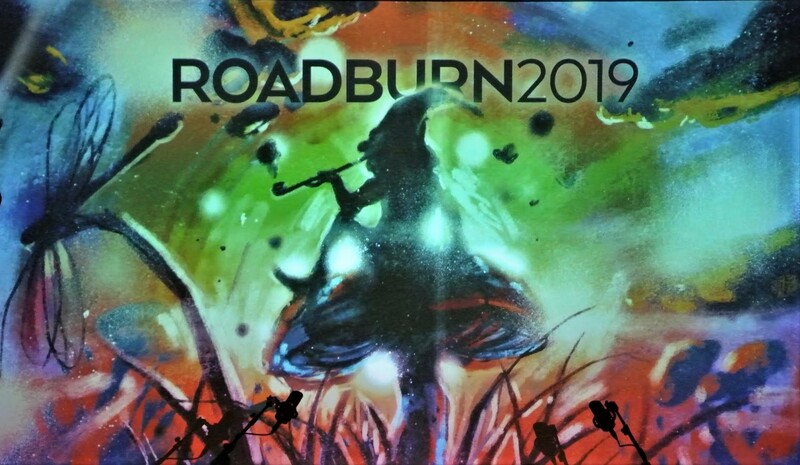 It is hard to say where I like to tour the most because we have so many great fans all over Europe and the U.S.. What I can say is that I can’t wait to get back out on the road again and rip up some stages with our Flaming Metal Systems. It’s always hard on me to tour because of my voice problems that I have had over the years but it’s still something I would not miss for the world. 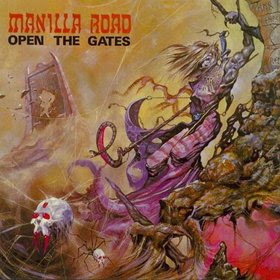 Open the Gates, The Deluge, Mystification, Out of the Abyss and Roadkill are albums you released later. 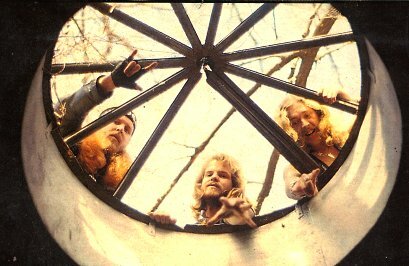 All of those albums were with Randy Foxe playing drums with us and what a lot of people say was our best stretch of albums. I think The Deluge was the best out of all of those but I am really partial to Mystification as well. 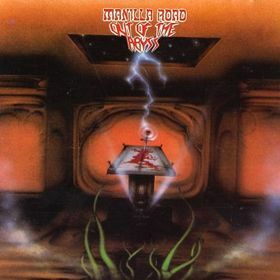 All of these albums were and are very important for Manilla Road. They were all really fun to record and it was a pretty good time for the band. Well we recorded and released Courts of Chaos and our label in France that we were signed to ran into hard times and we did not think we were getting a fair shake from them. Scott and Randy were having issues with each other and basically the whole thing sort of fell apart. I got married and started a new band called Circus Maximus and started having a family and raising kids. 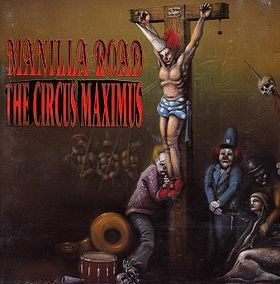 I did the Circus thing for about 2 years and then put the Road back together for a bit with Randy on drums and Harvey Patrick on bass. That lasted for awhile and we were going to try and record another album but Randy and Harvey got into it with each other and the bad blood lead to no Manilla Road again. So I did not play music for a couple of years and just worked a regular job and raised my kids until I started working on putting together my own recording studio and recording the music that eventually became the Atlantis Rising album in 2000. 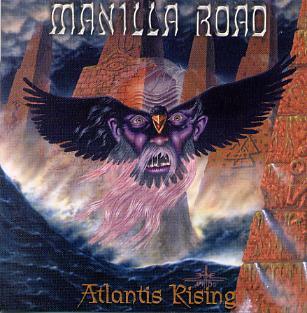 Manilla Road reformed and released Atlantis Rising in 2001. In 2000 I started working with Mark Anderson and Bryan Patrick on doing a project that we simply called Shark. While we were recording and writing this project Manilla Road got invited to play at the Bang Your Head Festival in Germany. Randy was asked but he decided not to go and so I got another drummer to go and do the show in Germany. While we were at the festival I gave several label representatives tapes of the Shark stuff that we had been working on. I got several offers but they all wanted us to call the band Manilla Road. 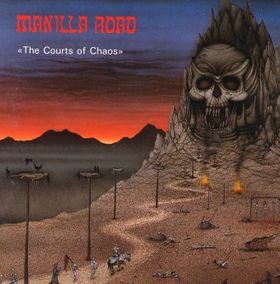 Well the project sounded a lot like Manilla Road anyway so it was all good with me. So after the show in Germany I came back to the studio with a new life and promise that there was still a metal scene out there to be a part of. We brought Scott Peters on board to play drums and Bryan to help with the vocals and we finished Atlantis Rising and then started touring anywhere we could get good gigs. We did some shows on the East Coast of the U.S. and started to make regular mini-tours through Europe. It was all forward without looking back after that. 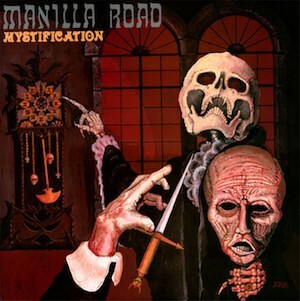 Manilla Road just finished recording our newest effort called Playground of the Damned. It will be out on High Roller and Shadow Kingdom records very soon. I have also helped start a new band with Ernie named after him called Hellwell. We are recording our first project right now in my studio, Midgard Sound Labs. We hope to be finished with it by the end of the summer and look for a winter release. 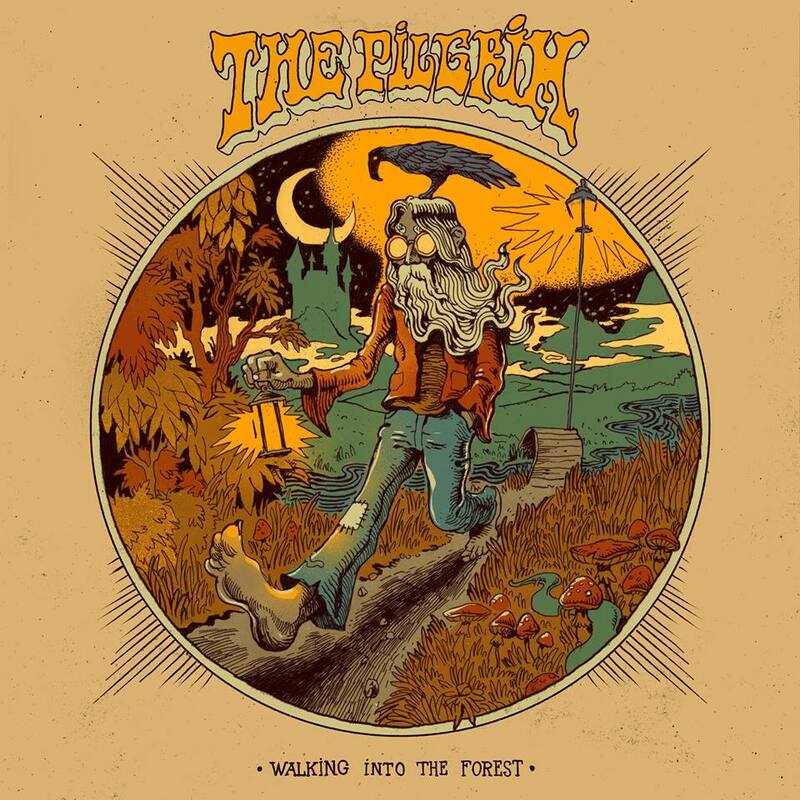 Manilla Road will be headlining the Epic night at the Hammer of Doom festival in Wursberg Germany in October 2011. And I am looking to go back out on tour in Europe and the states come 2012. Thanks you very much for your time and effort. Would you like to add something? I would just like to thank you and all our fans for the support that has been given us throughout the years. 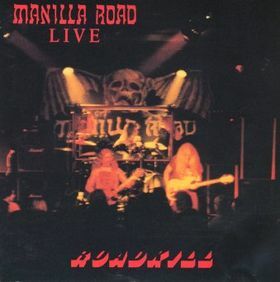 It is our fans and friends and supporters that have kept Manilla Road alive for the last 3 decades. We thank you from the depths of our abysmal hearts. Up The Hammers & Down The Nails. May The Lords of Light Be With You. 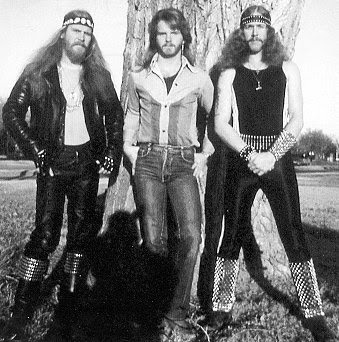 I never knew of these guys until recently thanks to Heavypsychman. Gonna check them out some more. So glad to have you guys turn me on to such great bands. Really the Best Epic Metal band ever.